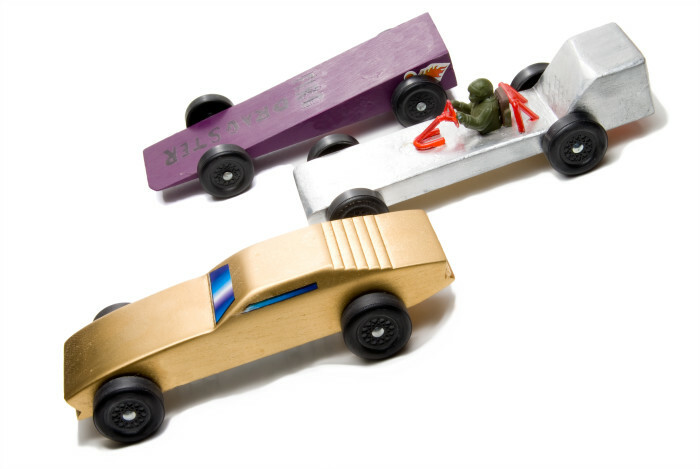 Both of my kids are scouts, which means we’ve made more than a few Pinewood Derby cars. It’s the highlight of the Cub Scout year in our house–a time when we break out the drafting paper and the power tools! Our cars may not have always been the fastest, but they’ve crossed the finish line with tons of style! 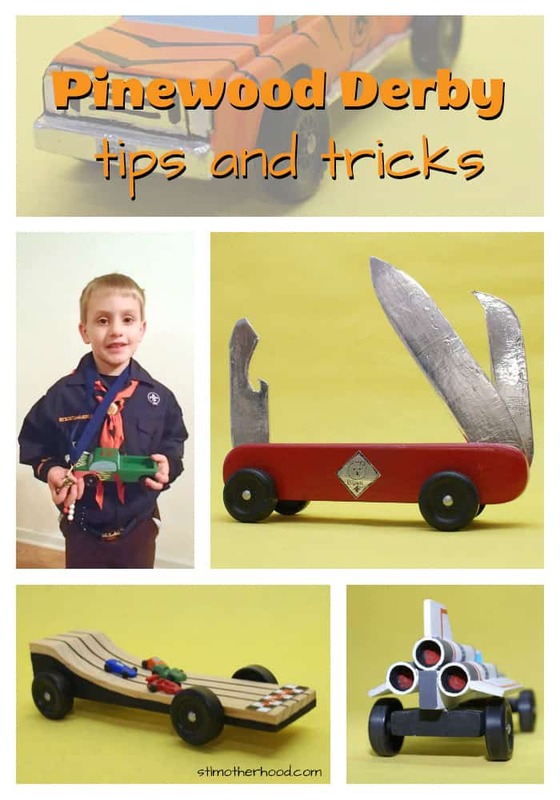 I’ve got a few tips on how to make sure your kid’s Pinewood Derby car looks super cool, while still following the good scouting principals of being Scout Made. Even by a Tiger! Your scout should do as much of the work as he can, otherwise it’s not really his, is it? But little kids shouldn’t be handling power tools, so let a grown up handle the major cutting. 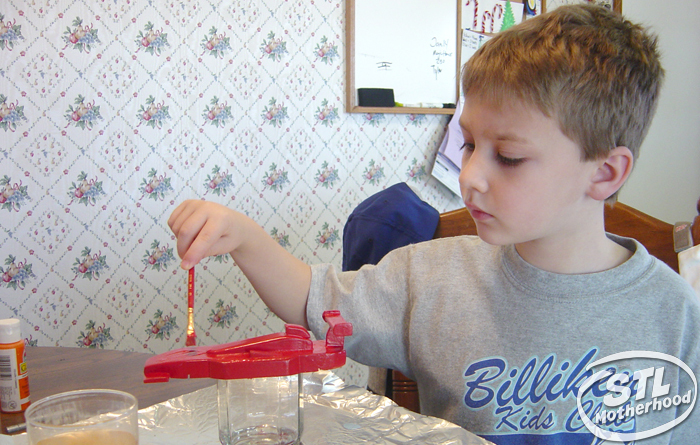 Older Cubs can probably handle a drummel tool–but you know your kid best. Let them do what they can when it comes to the carving. 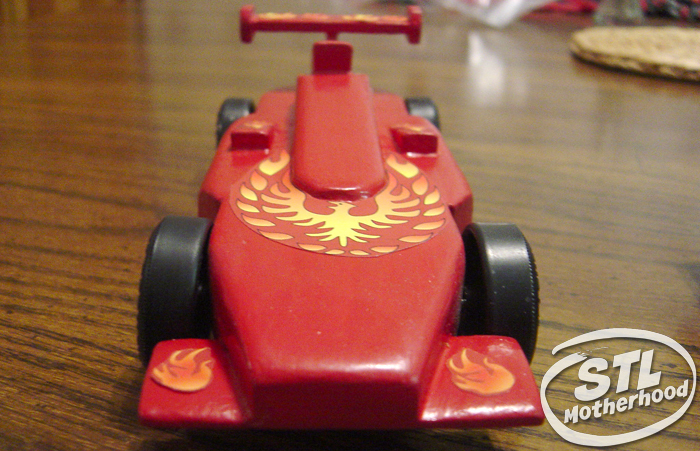 Design Your Pinewood Derby Car! 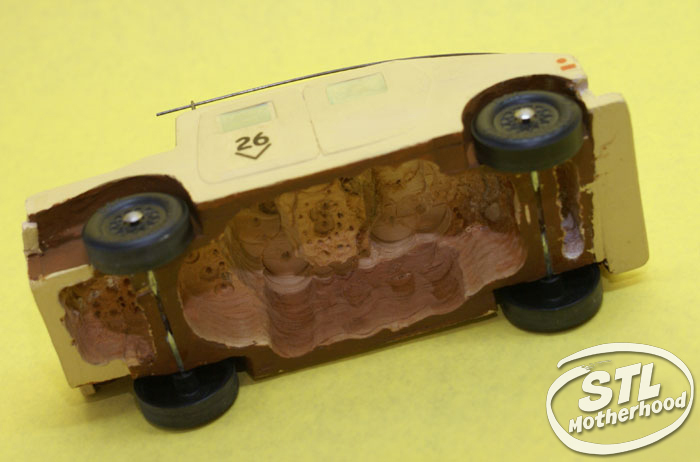 Remember, you don’t have to carve the entire car from just that block of wood. Some of our best designs had pieces glued on to make spoilers, fenders or rocket engines! This Battlestar Galactica Colonial Viper was made by carving the block of wood with a band saw down to just the axles and thin strip of wood for the fuselage. The engines are three dowel rods hollowed out with a drill press and glued on. The fins were cut from a sheet of balsa wood and glued. (Full disclosure: this was a leader car, so we didn’t have to hold back on the power tools.) The nice straight lines were achieved with red striping tape. Don’t have a lot of power tools? If you’ve just got a sander and a coping saw, then think about making a wedge design. 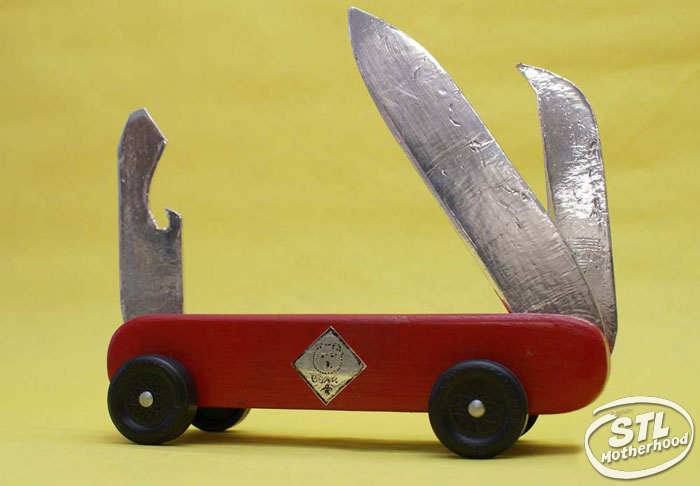 Remember, a good Pinewood Derby car doesn’t have look like a car at all! This car was just a ramp shape. 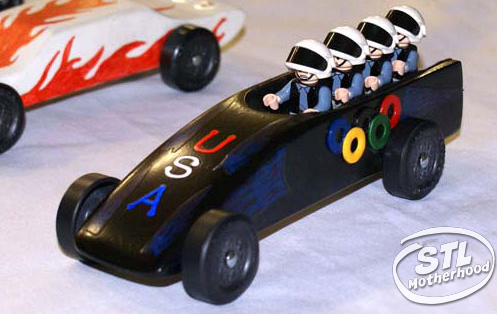 But we jazzed it up by making tiny Pinewood Derby cars out of sculpey clay and gluing them on! The finish line was printed off the computer and glued down. Sanding is the perfect job for little fingers. After a grown up carves the wood, make sure the scout gets his hands dirty with sanding. Axels and wheels need sanding too! Let your scout glue on the accessories! If you visit your local hobby or scout shop you’ll find lots of neat Pinewood Derby parts, like windshields or engines parts, that can be added on by the scout. Don’t forget to dig through those LEGOs–they’re a great source of engine parts, steering wheels and even drivers. After the car is sanded and glued, you scout can paint the car. Ordinary craft paint is good enough–be sure to get the glossy finish! You can break out the Mod Podge for an extra coat of shine or glitter. A lot of our cars are made special with stickers. You can get lots of cool stickers from your Scout Shop or hobby shop. If you can’t find the perfect sticker, you can print out clip art from your computer. Homemade decals can be printed on regular paper and glued or decoupaged with a little Mod Podge. We made a lot of our car’s shiny by using foil HVAC tape from the hardware store. It’s awesome! Check that your axle groove is straight and at a 90 degree angle to the car body. Check with your Pack’s rules because you may not be able to drill new holes. If your block is out of whack, you might need to replace it with a new kit from the scout shop. Weigh the car to make sure it’s as close to the 5 oz limit as you can get. You can buy weights from the Scout Shop or a hobby shop, or use pennies! If you don’t have a precise scale at home, take it to your Post Office and use the self mailing scale. Sand those axles! You want to eliminate as much friction as you can. (Want to know how? Let me point you to an expert, here.) In the old days we needed to sand the wheels too, but they’ve changed the way they make them. Whew! Ryan made this Military Humvee extra wide by gluing sheets of balsa to the outside. 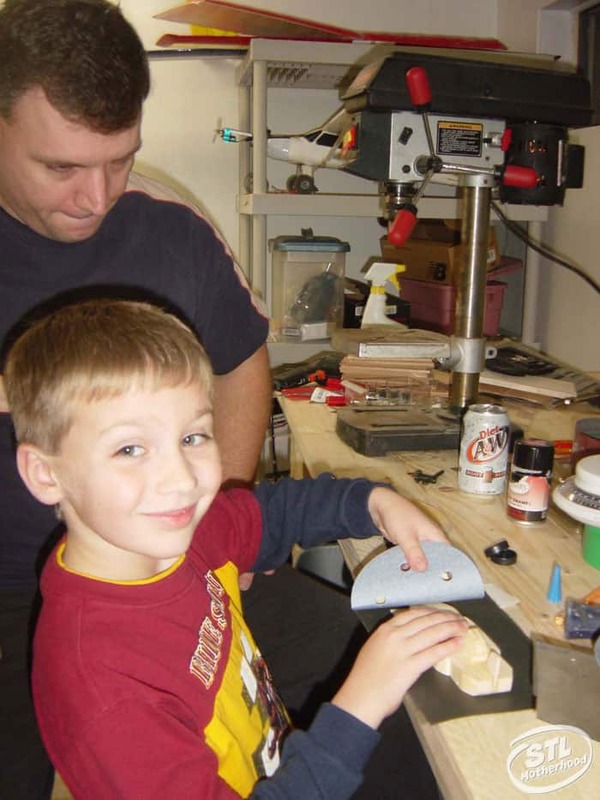 Then his dad helped him hollow out the car with a drill press until it only weighed 5oz. This is the only car we’ve made that didn’t need weights! Always. Follow. The. Pack. Rules. The last thing you want to do is ruin your kid’s race day by breaking the rules and getting his car disqualified. A lot of websites have recommendations that break rules, and even the BSA Scout Shop sells extras that some Packs don’t allow. For example, our Pack rules state that you must use parts that came with the kit–the wheels, axles and even the groove carved into the block! These rules are very important and make sure that every kid has a fair shot. 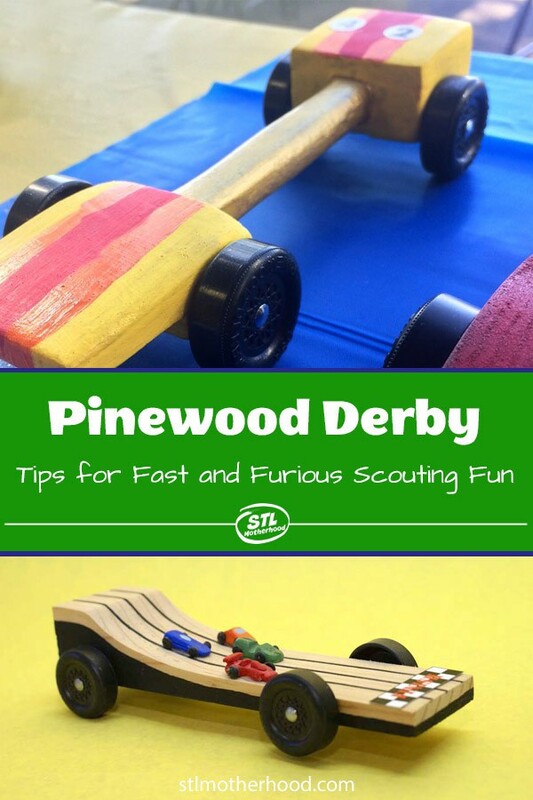 Want more tips and tricks on helping your Scout build an AWESOME Pinewood Derby car? 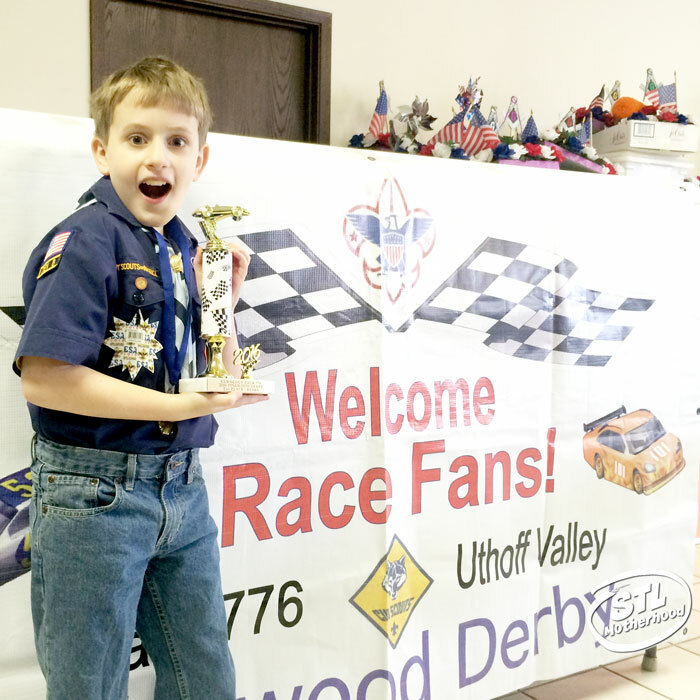 Then check out the official Cub Scout Pinewood Derby site! It gives step by step directions with animations and video clips.